For tax years 2018-2025, the Tax Cuts and Jobs Act (TCJA) eliminated the deduction for interest on home equity debt and limited the mortgage interest deduction to qualified residence debt of up to $750,000 ($375,000 for married taxpayers filing separately). In a recent news release, the IRS advised taxpayers that interest paid on home equity loans and lines of credit is still deductible if the funds are used to buy, build, or substantially improve the taxpayer’s home that secures the loan. For example, interest on a home equity loan used to build an addition to an existing home is generally deductible (subject to the new dollar limit on qualified residence debt). However, interest on a home equity loan used to pay personal living expenses, such as credit card debt, is not deductible. 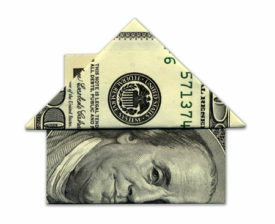 Also, interest on a home equity loan on a taxpayer’s main home to purchase a vacation home is not deductible. If you have any questions regarding how the TCJA affects your specific situation, please contact us online or call 215-723-4881. We also invite you to join us at our Hatfield location on Thursday, March 15 for a Financial Literacy Seminar: Personal Wealth Opportunities under the New Tax Law, where we’ll identify personal wealth opportunities and discuss some recommended tax savings strategies resulting from the new tax law that may benefit you. Should you wish to join us, please RSVP by Monday, March 12, to Jen Norman via email, or by phone at 215-723-4881, ext. 207.